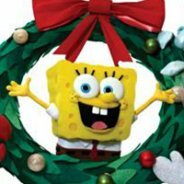 NickUKHub: Nickelodeon UK & Ireland to Show Brand New SpongeBob Christmas Stop Motion Special "It's a SpongeBob Christmas" on 2nd December 2012 & The Return of SpongeBob's Advent Calender! Nickelodeon UK & Ireland to Show Brand New SpongeBob Christmas Stop Motion Special "It's a SpongeBob Christmas" on 2nd December 2012 & The Return of SpongeBob's Advent Calender! Licensing.biz has announced that Nickelodeon UK & Ireland will premiere the brand new SpongeBob SquarePants stop motion special "It's a SpongeBob Christmas" on December 2nd 2012 at 8:00am and 4:00pm. SpongeBob's Advent Calender will also be returning. Check out the extract from the post on Licensing.biz below for more! Nickelodeon's first stop-motion animation will air throughout December; out now on DVD. A new SpongeBob Christmas special episode will air on Nickelodeon throughout the festive season. It's A SpongeBob Christmas will be the network's first ever full-length stop-motion animation when it airs on December 2nd at 8am and 4pm. As well as being repeated over Christmas, the half-hour special is already available to buy on DVD through Paramount Home Entertainment - exclusively at Asda. The DVD features exclusive content including a behind-the-scenes look at the making of the special episode, while the Nickelodeon premiere will include bonus scenes featuring a stop-motion version of the character 'Patchy', voiced by Tom Kenny. Work began on the special in October 2011 at Screen Novelties production studio in Los Angeles, where the two-dimensional cartoon characters were translated into three-dimensional puppets. Six sets were operating at one time, where 60lbs of baking soda was used as snow, 42lbs of glitter added sparkle, 22lbs of wood chips created Sandy’s tree house floor, and 20 boxes of breakfast cereal covered the coral rocks. In addition to the special episide [episode], SpongeBob's Big Advent Calendar is back on Nickelodeon this Christmas. A statement read: "Following on from the success of last year, viewers can count down from Saturday, December 1st until Christmas Day on air and online with SpongeBob and his Nickelodeon chums. "Viewers can watch daily at 8am and 4pm for an hour of special seasonal shows including new SpongeBob SquarePants, Fairly OddParents, Bucket & Skinner’s Excellent Adventures, Kung Fu Panda: Legends of Awesomeness, Winx Club and Power Rangers Samurai." Every now and then, an animated parcel will appear on screen. Viewers can then visit nick.co.uk/spongebob to identify the present they spotted and unlock the calendar window for their chance to win that day’s gift. Prizes include Teenage Mutant Ninja Turtles action figures, vehicles, playsets and combat gear, SpongeBob SquarePants puzzles, voice changer and magazine subscription as well as Winx Club dolls and Victorious goodies. One Christmas Eve gift includes a trip for a family of four to Nickelodeon Land at Blackpool Pleasure Beach. Below is the promo that was released on November 18th 2012.